Simon Chan talks with Dee Len about how DMO has helped grow her business. 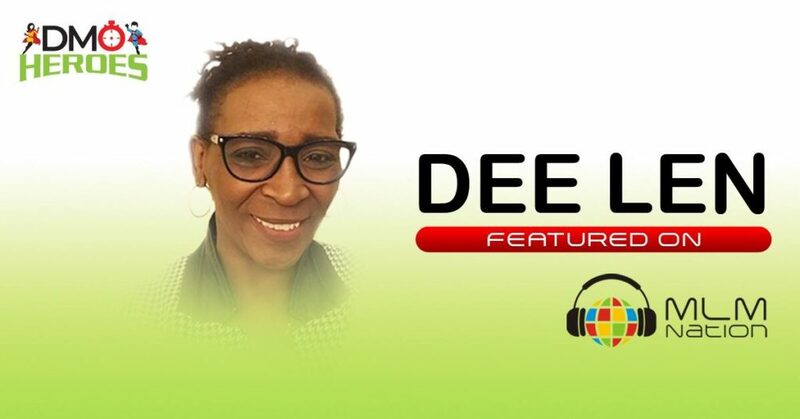 Dee also shares the ways in which she makes the most of her time throughout her busy schedule to prioritize the DMO and how being a part of the MLM Nation's Insider community helps her stay committed to growing her business. They also discuss social media strategies to make an impact and the importance of consistency. Dee Len started in her first network marketing company in August of 2016. When Dee is not working with people with disabilities at her full-time job, she enjoys mentoring Youth At Risk or spending time with her 3 grandchildren. Just do it, because it’s well worth it.